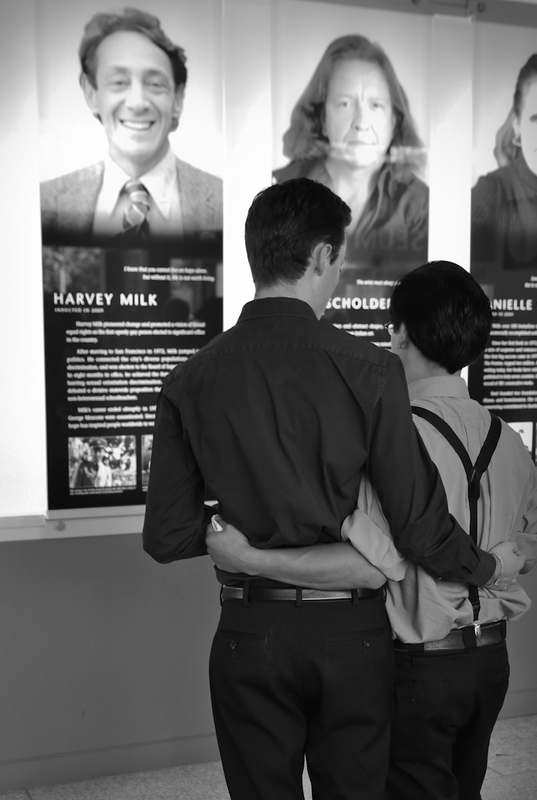 We give thanks for your support and for keeping the life affirming message and legacy of Harvey Milk alive!l And we wish Harvey style HOPE to all those who have not or can not openly celebrate their love. As Harvey said, “we can not live on hope alone, but without hope life is not worth living”. If you live in a community that is supportive of inclusion and the celebration of diversity we join you in giving thanks. If you are a teen feeling isolated, if you live in a community or nation that has not yet recognized that you are a gift to the world, if you find yourself denying your authenticity due to fear of rejection or discrimination or worse, we say you are not alone…there is a global community that is with you, that supports you and that is working everyday, as Harvey said three decades ago,”for a better tomorrow”. We hope you will join us today and give thanks to the man that gave his life over three decades ago for us, all of us, to love openly and with full equality.